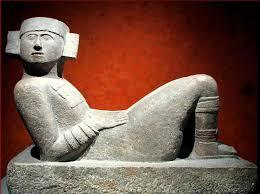 Mexico is one of the destinations that is preferred when it comes to the discovery of Mayan ruins. Besides its famous culinary specialties, mariachis, and beaches, previously occupied by the Mayan sites are popular with international tourists and archaeologists. In Mexico, there are currently a multitude of sites that were a part of the existence of the Mayan culture. Although they are not nearly as famous as the most popular ones, these sites need to be listed. These are the sites that have previously been studied by archaeologists and that appeal to many visitors from around the world that want to be in contact with the Mayan practices. Located in the Yucatan peninsula, the Chichen Itza site , includes Mayan temple El Castillo and the pyramid Kulkulan. This building has colorful architecture and was built by the Mayans to serve as a medium for communication with the divine powers. Its achievement is thus far surrounded by an aura of mystery due to the mystical connotation of the construction plans. The number of steps of the temple corresponds to the exact number of days of an ordinary year, three hundred sixty-five days. This temple would be a representation of the Mayan calendar. These are large wells-essential elements of the Mayan culture. Human sacrifices were often performed by the Mayans who executed them in order to obtain favors from the gods. Ritual theaters, the cenotes were underground caves collecting human sacrifice at that time. We find a multitude of cenotes scattered throughout the Yucatán Peninsula. Uxmal is one of the sites that reveals the artistic skills of the Mayan people and due to the pyramid`s dimensions and special shapes it stands out as a top site on a variety of websites. This is the Pyramid of the Magician. Its architecture differs from other Mayan pyramids. Representations of a Mayan god, the throne of rain isat the entrance of the pyramid. Along with the Palace of Governors, it is one of the main attractions at the site of Uxmal. It is a place full of meaning for the Mayan people, because in this place is where they played the ball game that was highly practiced by the Mayans. The outcome of the game could be fatal to one of the teams, as the game was closely linked to the bloody sacrifices offered to the gods. We can distinguish a multitude of playgrounds through the Mayan sites. The walls of the temple are covered with a multitude of glyphs; these inscriptions are at the origin of the name given to this imposing building. It also serves as a monument. You can admire many beautiful pictures on different websites ..